It was quite a surprise when CBC revealed a CFIA report that indicated Organic produce had pesticide residues! When I hear shocking stories on the CBC, I often turn to AM talk radio shows to hear what others are saying. It was curious why this was not being discussed in other media. Courtesy of Dr. Ann Clark and the Organic Council of Ontario, I obtained a copy of the infamous CFIA report. It was the annual 2010-11 Pesticides in Fresh Vegetables Report. This was a study of 1024 samples collected from eight provinces. Each sample was analyzed for 430 different pesticide residues (440,320 analyses). The Maximum Residue Limit (MRL) was exceeded on 15 of these samples (6 carrots, 6 leafy greens, 2 potatoes, 1 tomato and 0 corn). There was follow-up on all these violations. In total, 98.6% were compliant, and 63.7% had detectable pesticides. Ontario and Quebec vegetables had the lowest percentage of no detected pesticides. Though these results corresponded with previous reports, it is concerning that most produce has detectable pesticides. Of these samples, 23 were labeled as “Organic”. One (of 7) carrots and 11 (of 14) potatoes (52.2% in total) had a detectable pesticide. But the amounts were all less than 5% of the MRL. By international standards, an amount less than 5% is considered to be non-deliberate contamination and likely to have come from spray drift or transfer during handling. Nevertheless, these results were forwarded to the CFIA for follow-up. These results corresponded with previous reports, but with a concern so many potatoes had minor contamination. Since there was no news, there should have been no story! 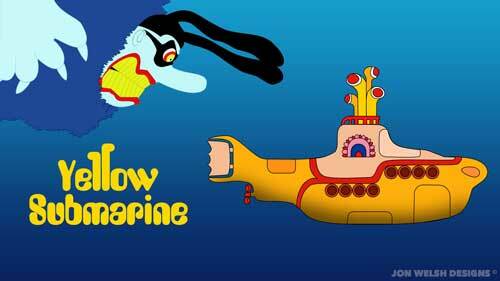 With 50th anniversary celebrations of the Beatles, now is a good time to join Old Fred, Ringo, John, George, Paul, and Jeremy (the perceptive man from Nowhere) on their journey in the Yellow Submarine to save the world from Blue Meanies. In case you haven’t noticed, Blue Meanies continue to return! Neonicotinoids are a family of synthetic neuro-toxins designed to kill insects [which includes bees]. But their labels also state they are toxic to fish, birds, and small mammals [and presumably humans]. They are systemic pesticides [meaning they enter plant tissues and cannot be washed off]. They are persistent [i.e. they take many months to break down]. They are water-soluble [indicating they easily enter the broader environment and our groundwater]. And they bio-accumulate [into other plants and animals we eat]. Like DDT, this powerful pesticide is too good to be true. It is now registered for use on hundreds of crops [nearly everything we eat]. They are blended into many Branded seed coatings, insecticidal sprays and soil-drench products with small-print-unpronounceable ingredients [never being termed neonicotinoids, a conventional farmer [or your garden nursery] is rarely aware they have been used]. As long as regulators lack access to this data, only the sellers are aware how much is being used. For more information, please see this Fact Sheet prepared by Susan Chan for Farms at Work. Roundup (glyphosate) is a powerful herbicide that quickly kills nearly all plants. The most effective characteristic of GMO crops (primarily corn, soy and canola) is resistance to Roundup. 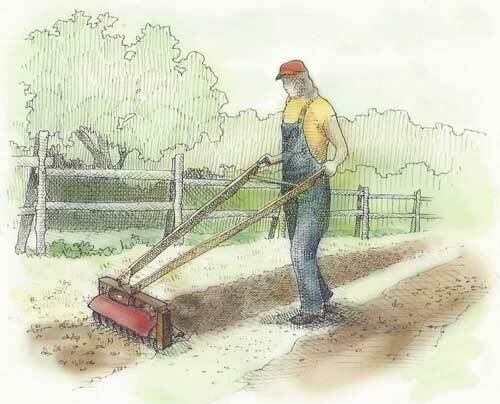 A simple spray of this substance kills all the weeds so the crop can grow unencumbered. There have long been concerns about side effects of this herbicide. University of Caen Professor Gilles-Éric Séralini has long felt that Roundup and GMO corn safety research is flawed because it only looks at the short-term (6-months) effects, rather than the long-term (2-years) effects on rats. Since Monsanto refuses to release its research data [even to government regulators], he had to conduct his own research. In September 2012, the peer-reviewed journal Food and Chemical Toxicology published his findings that both Roundup and GMO corn did lead to cancers subsequent to the usual short-term studies. After the appointment of a Monsanto-connected editor to the journal, Séralini’s article was curiously retracted in November 2013! For more information about this suspicious turn of events, please see Marion Nestle’s Food Politics blog. Bill C-18 (Agricultural Growth Act) is another Harper government omnibus bill designed to further champion corporate export agriculture. [I thought over 80% of Canadians are seeking locally grown foods.] This Act will bring changes to the Feeds, Fertilizers, Seeds, Health of Animals, Plant Protection, Monetary Penalties, Marketing, and the Farm Debt Mediation Acts. The centerpiece of this legislation is to take the plant genetics our forefathers and governments have developed and shared throughout history; then give them away to private corporations. Their hypothesis is that increased plant breeders rights will boost the Canadian economy. What are they smoking? It is only multi-national agri-business that will reap profits. This will then further subjugate Canadian farmers and Canadian sovereignty. For more information see the National Farmers Union analysis. Greenbelt Farmers Market Network is faithfully managed by Anne Freeman for the benefit of market farmers and their customers. To help farmers understand their full Costs of Production, and thereby help them make sustainable decisions, I was contracted to prepare a simple process to quickly approximate a farm’s actual costs. We came up with The Rule of 45. If you don’t agree with my assumptions, you are invited to calculate your own Rule. But for a more thorough and useful calculation, I am available for a Professional consultation. Both farmers and customers should take a careful look at this Rule of 45. Natures Finest Fund has been established by The Big Carrot as an annual method to provide $25,000+ in grants to help their local farmers provide more foods. In 1987 they contracted me to visit and interview several successful U.S. natural foods stores. They all told me that their “secret to success” was providing generous amounts of locally grown foods. This year I was contracted to coach the farmers in submitting carefully thought-out applications. For a list of the recipients and how they will use their awards please see the 2014 recipients. A Local Food Hub is another of Chef Michael Stadtlander’s visions he has discussed with me for several years. The Grey County Chef’s Forum is now arranging for 100km Foods to pickup food from Grey County farms for delivery to Toronto chefs. For additional details take a look at this post from Ontario Culinary Tourism Alliance. Restoration Agriculture is a re-visioning of agriculture by Mark Sheppard. I have long been intrigued by the concepts of Permaculture; but my takeaway has been that this is the fastest way to lose a farm. (Pig farming may be even worse.) In 1995, on a 106-acre Wisconsin cash-crop farm, Mark started replanting the formerly dominate Oak Savannah eco-system to create New Forest Farm. He assured me that he is already harvesting commercial quantities of chestnuts, hazelnuts, cider-apples, machine-harvested berries, and pastured animals while maintaining sufficient Cash Flow to operate nine profitable enterprises. For more information browse through the Forest Agriculture Enterprises website. Chefs could start learning ways to support this form of agriculture by creating ways to avoid annual grains and legumes while incorporating perennial chestnuts, hazelnuts, and preserved fruits into our diets. The Edible School Yard was a vision Alice Waters shared with me when I was preparing a 1987 article about her for The Globe and Mail. At that time it was in the form of a Schoolyard Pizza Garden. Now it is in the [TED-like] form of Stories About Food and Agriculture. For some enlightening viewing, please bookmark Edible Education stories. If you live in or near Toronto, please plan to attend the COG Toronto Conference on February 22. Details are at 2014 Organic Consumer Conference. There will likely be an update about Professor Séralini (see above) who was one of last year’s Keynote Speakers. This year’s Keynote Speaker will be Woody Tasch, founder and chair of Slow Money. The title of his book, Inquiries into the Nature of Slow Money: Investing as if Food, Farms and Fertility Mattered encapsulates what Slow Money is about. As is always the case at this conference, there will be a wonderful slate of speakers covering such timely topics as: Ag-Canada’s cozy relationship with GMO’s, what happens when children consume pesticides, and the mental healing which comes from getting our hands dirty, and much more. Plus there is always a scrumptious buffet luncheon. Jean-Martin’s newly translated book, The Market Gardener, is a gem. Cornwall is home to the Canadian Organic Growers (COG Ottawa, St. Lawrence and Outaouais) Eco Farm Day on February 22. This one-day conference is packed with sessions on: forages, Organic dairy, heritage grains, herd management, pollination, agroforestry, solar energy and marketing organics. It is a pleasure to see two of my clients presenting a session on record-keeping as a way to understand costs of production, profitability, and decision-making. They are joined by Quebec market gardener Jean-Martin Fortier whose insights are akin to the legendary Eliot Coleman. After writing the very successful Le Jardinier-Maraicher, FarmStart led a crowd-funding project to translate it to The Market Gardener. (To support their service, please consider purchasing your copy from FarmStart.) I commended Jean-Martin for putting profitability, marketing and making a good life in the first chapter. He proudly replied that this most important aspect was put there on purpose. The huge Ontario Fruit and Vegetable Conference (OFVC) and Trade Show will be held in Niagara Falls on February 19 and 20. Start perusing all your options here. This conference is for growers, not consumers. 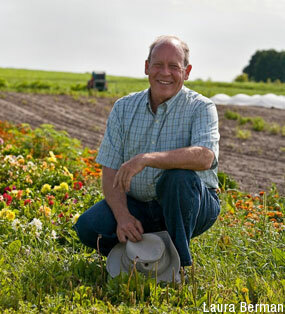 There is a nod to Organic growers, but most presentations are aimed at conventional growers. You can spend a half-day or full-day on one of these topics: Berries, Bio-Pesticides, Cucurbits, Farmers Markets, Grapes, Irrigation, Organics, Tender Fruits, Vegetables, or Wineries. Plus there will be Craft Beer (with local hops), Cider and Wine tastings.